The prayer started off with the reception of His Holiness in a traditional chipdrel procession. 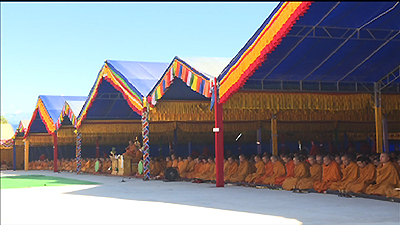 The Central Monastic Body and Menjong Chhoethuen Tshogpa are conducting the prayer coinciding The Gyalsey’s Birth Anniversary and 400 years of Zhabdrung’s arrival in the country. The Moenlam chhenmo also marks the significance of Guru Rinpochhe’s birth year and a decade of His Majesty The King’s reign. 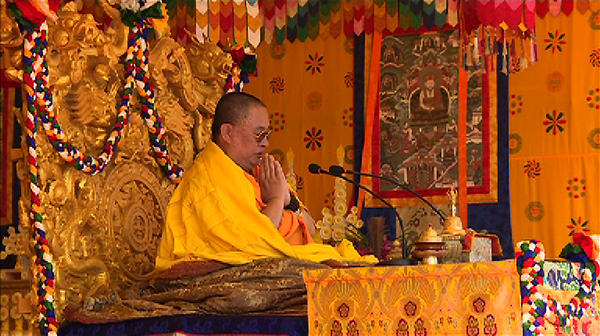 His Holiness appointed a new Lam for the National Referral Hospital. Prior to current appointment, Lam Phub Dorji, 41, was in retreat at Do Choeten Goenpa in Paro. Including the appointee, there are now three lams for the hospital now. Over a thousand devotees, mostly senior citizens, are attending the prayer ceremony.